It's been about six years since Crammed Records released its first volume of the Congotronics series, which celebrates the completely underground music scene in the Congo. And even if that doesn't seem like that long ago, electronic likembe enthusiasts Konono No. 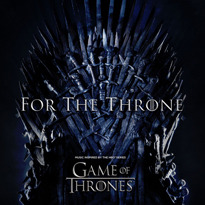 1 - the focus of that first collection - have been making music since the '70s. With the celebrated series going on to release collections shining light on other African artists like Kasai Allstars and Basokin, and Konono No. 1 filling up their schedule with new albums, world tours and collaborations with Bjork, it's fair to say that the prolific project has thrilled and inspired many since its inception. It's no surprise, then, that Crammed is gearing up for a massive two-disc set toasting the Congo's invaluable contribution to the global music scene. 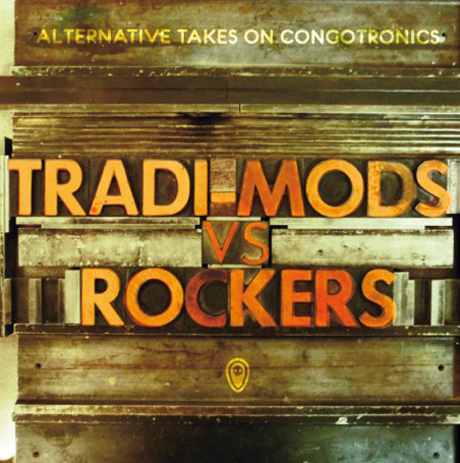 Tradi-Mods Vs. Rockers: Alternative Takes on Congotronics, to be released November 9, will feature a host of contemporary artists like Animal Collective, Deerhoof, Juana Molina, Wilco's Glenn Kotche and Andrew Bird remixing or reinterpreting their favourite Congotronics tracks. 1. 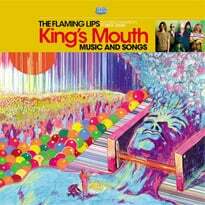 Deerhoof vs. Kasai Allstars - "Travels Broaden the Mind"
2. Animal Collective vs. Kasai Allstars - "Quick as White"
3. Andrew Bird vs. Konono N°1 & Sobanza Mimanisa - "Ohnono/Kiwembo"
4. Tussle vs. Konono N°1 - "Soft Crush"
5. Glenn Kotche vs. Konono N°1 - "Traducteur de Transmission"
6. Lonely Drifter Karen vs. Kasai Allstars - "Hunting on the Moon"
7. Jherek Bischoff vs. Konono N°1 - "Kule Kule (Orchestral Version)"
8. Woom vs. Kasai Allstars - "Enter the Chief"
9. Juana Molina vs. Kasai Allstars - "Hoy Aupe Que Viajas"
10. Mark Ernestus vs. Konono N°1 - "Masikulu Dub"
11. Skeletons vs. Sobansa Mimanisa - "Kiwembo/Unstuck"
12. Jolie Holland & Joel Hamilton vs. Kasai Allstars - "Nyeka Nyeka"
13. Aksak Maboul vs. Kasai Allstars - "Land Dispute"
1. Shackleton vs. Kasai Allstars - "Mukuba Special"
2. Hoquets vs. Konono N°1 - "Likembes"
3. Micachu & the Shapes vs. Konono N°1 - "NO.K"
4. Megafaun vs. Kisanzi Kongo - "Conjugal Mirage"
5. AU vs. Masanka Sankayi - "Two Labors"
6. Allá vs. Basokin - "Mulu(me)"
7. Bear Bones, Lay Low vs. Konono N°1 - "Kuletronics"
8. Burnt Friedman vs. Konono N°1 - "Rubaczech"
9. Oneida vs. Konono N°1 - "Nombre 1!" 10. Optimo vs. Konono N°1 - "Wumbanzanga"
11. Bass Clef vs. Kasai Allstars - "The Incident At Mbuji-Mayi"
12. Eye vs. Konono N°1 - "Konono Wa Wa Wa"
13. Sylvain Chauveau vs. Konono N°1 - "Makembe"